Made by KG Murray Publishing in Sydney, New South Wales, Australia, 1953-1962. Multi paged booklet with colour cover depicting a cowboy and a threatening adversary. Inside images and text are in black and white. This comic book is number 10 in a series. Autographed 'Smoky Dawson' across lower left of booklet. This comic was printed by Sungravure limited, Rosebery, New South Wales and published by KG Murray Publishing Sydney between 1953 and 1962. 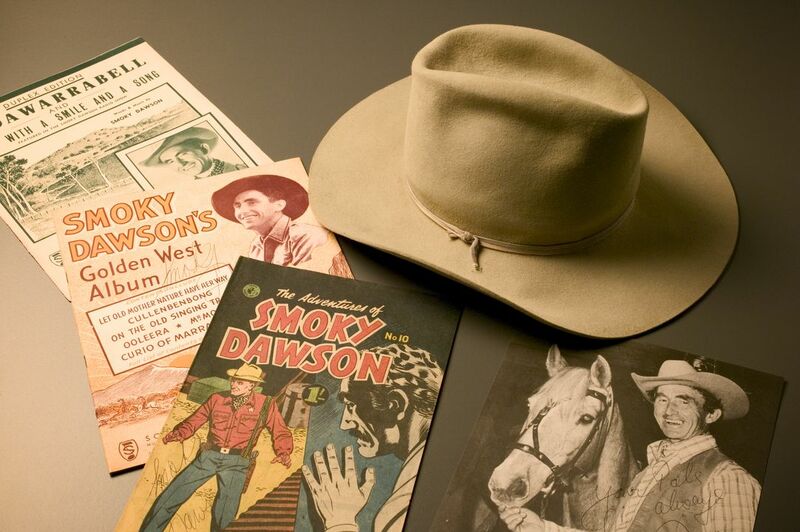 This comic book has been part of Smoky Dawson's personal collection since it was produced. It was lent to the Powerhouse Museum in 2001 for display in the exhibition 'Spinning Around: 50 years of Festival Records'. At the conclusion of the exhibition Smoky Dawson agreed to donate his loan items.